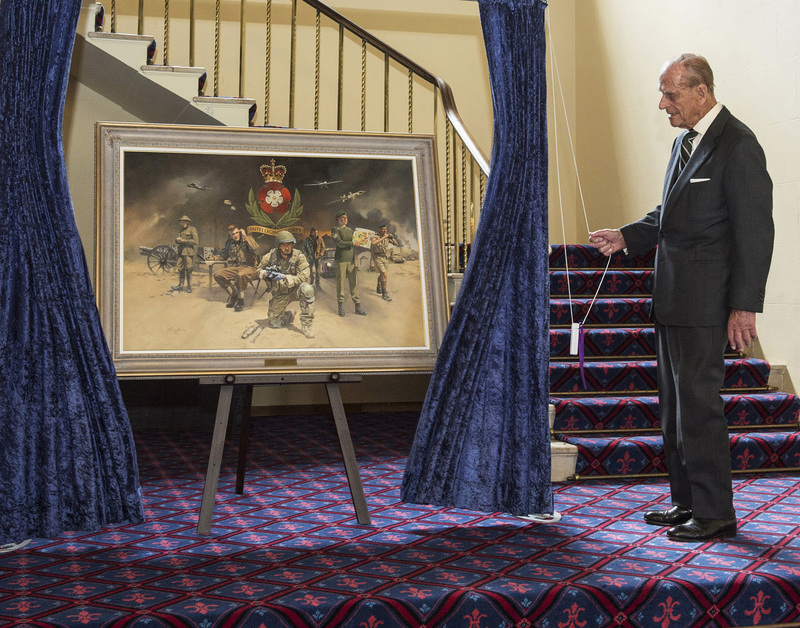 HRH the Duke of Edinburgh unveils ‘The Intelligence Corps Through the Ages’ while attending Corps Day at the Chicksands HQ. The painting was commissioned by the Intelligence Corps in 2015 to mark 100 years of service and captures core disciplines throughout the century. The painting now hangs in the Priory Officers’ Mess at Chicksands. Stuart Brown is a British artist and illustrator. Formally trained in illustration, he spent many years working as in-house artist to commercial design studios.